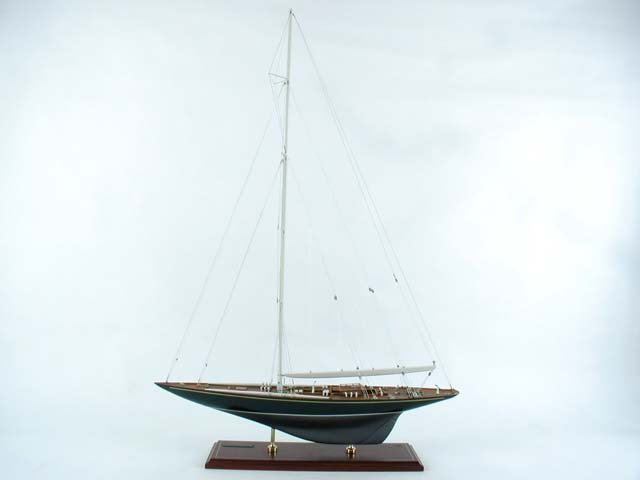 Commissioned by Sir Thomas Lipton (of Lipton Tea fame), Shamrock was built in 1930 to compete in the America's Cup. Her mast reaches nearly 160 feet toward the sky. She never won the Cup but remains a rare and impressive sight when sailing along the eastern seaboard today. Dimensions (L x W x H): 25.0" x 5.0" x 35.0"